This series employs the unique method we call 'Hollenstyle 2'. 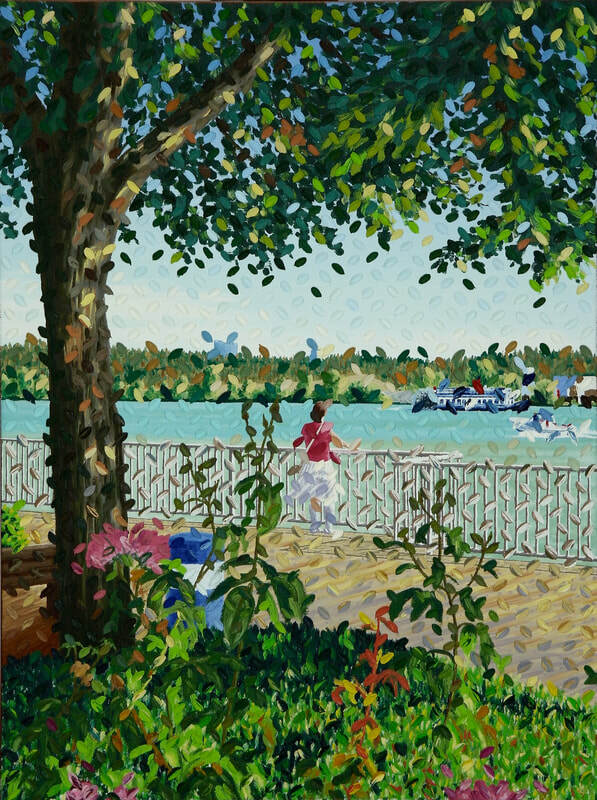 Featuring more beautiful river scenes then painted over with impasto touches that create a gem-like quality on the surface of the works. 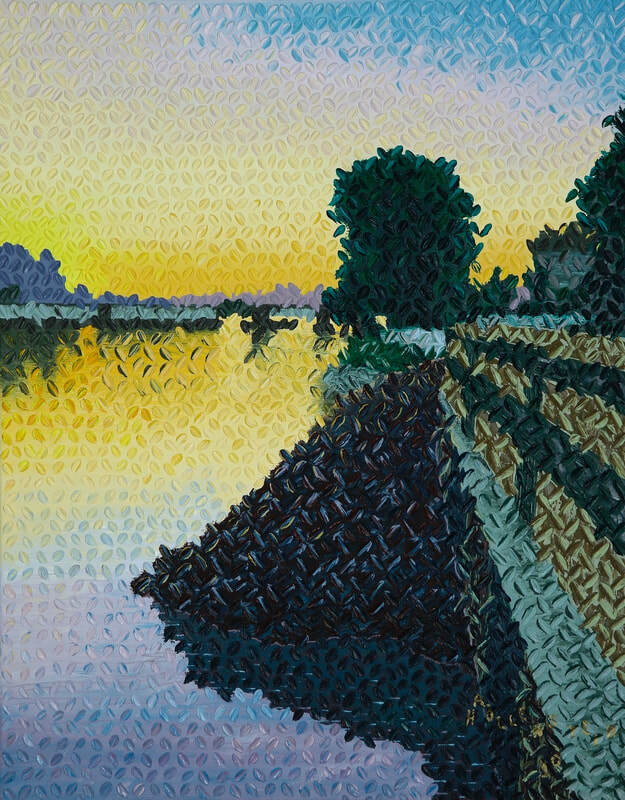 A New Day on the River 28 x 22 in. 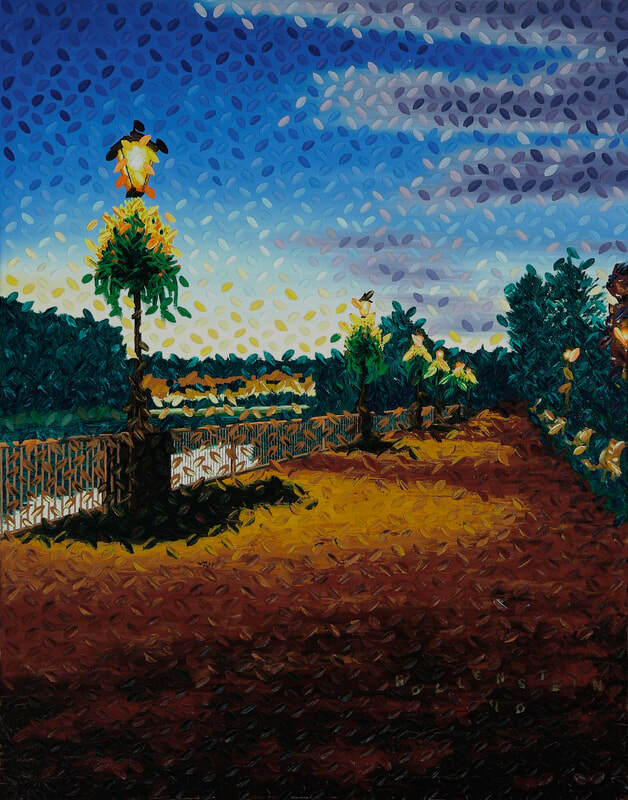 Lamp Post Lane 28 x 22 in. 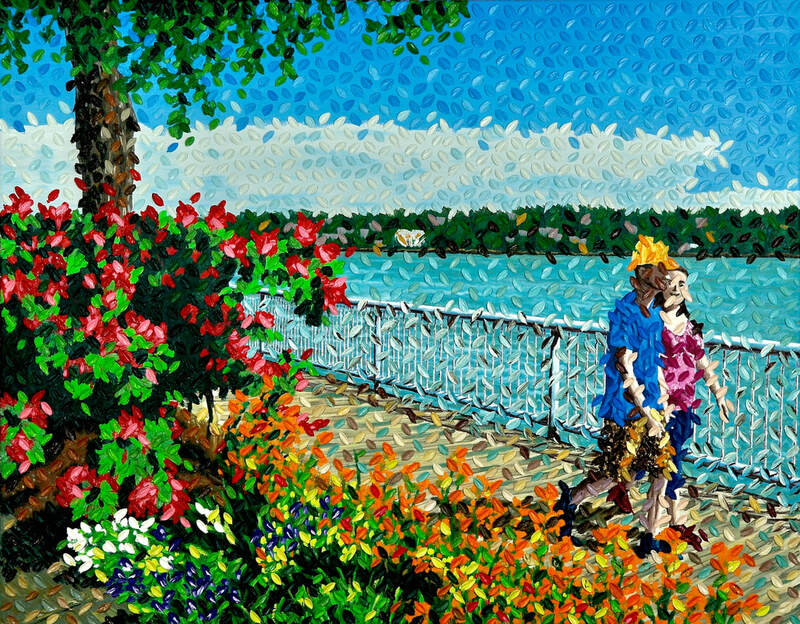 Stroll on the Boardwalk 22 x 28 in. 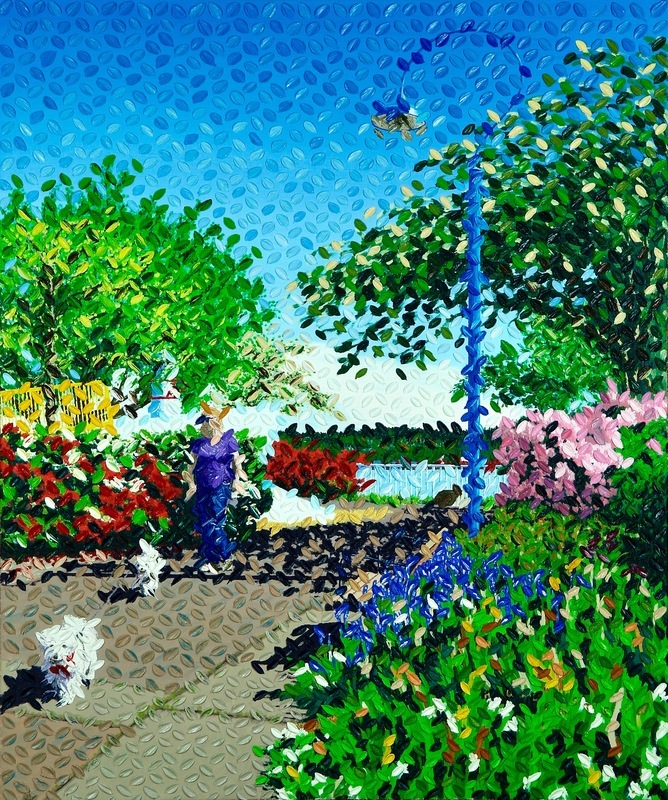 The Dogwalker 24 x 20in. 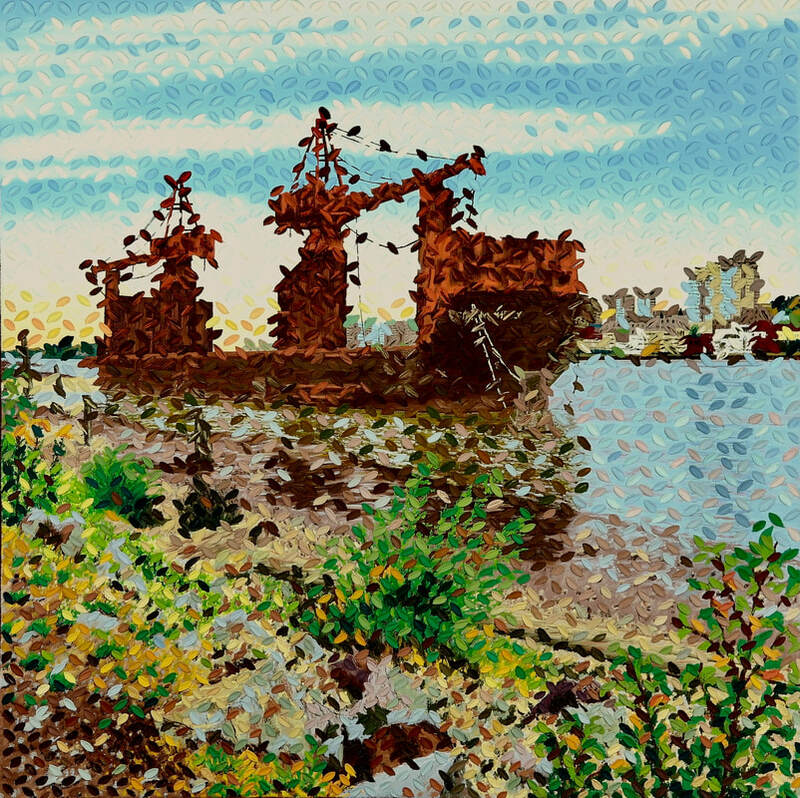 The Rusty Wreck 24 x 24 in. 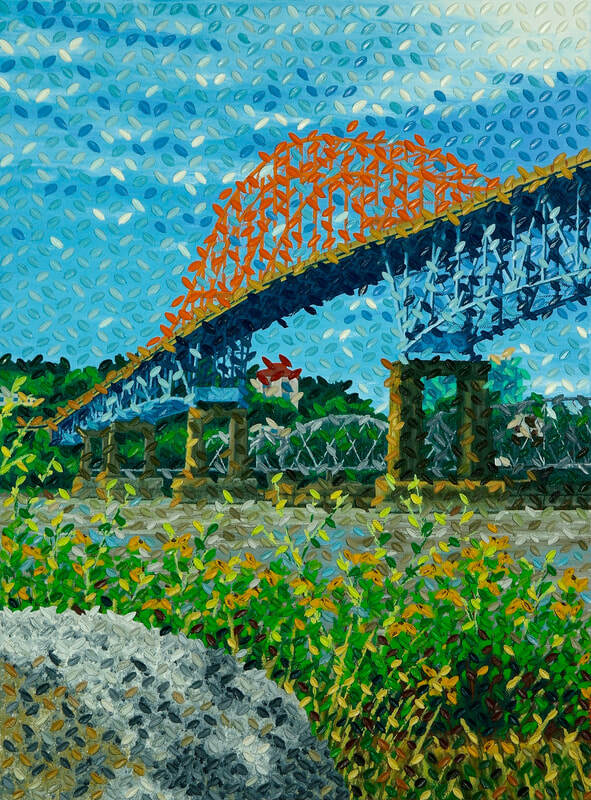 The Orange Bridge 24 x 18 in. 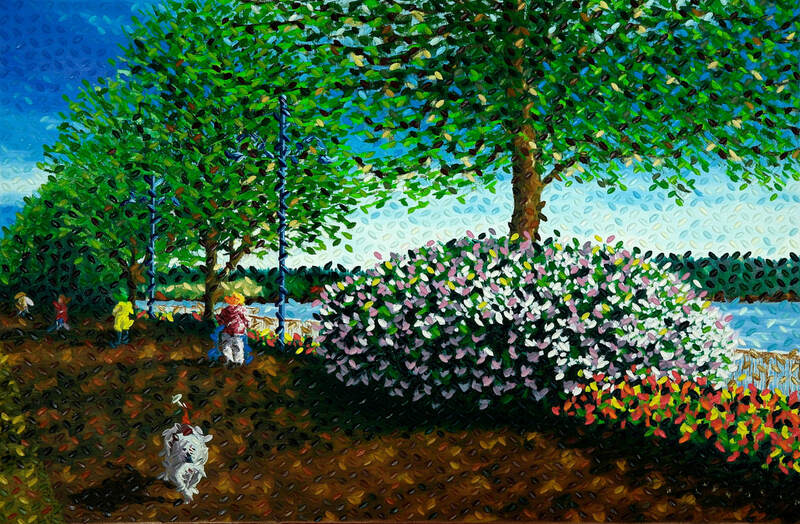 Bulldog on the Promenade 24 x 36 in. 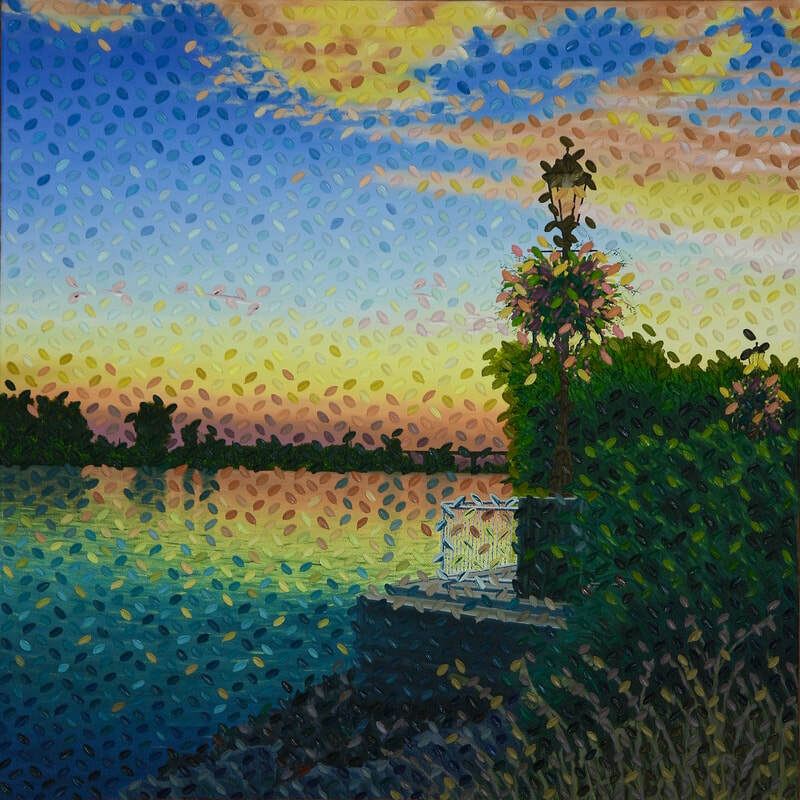 Dusk on the River 24 x 24 in. 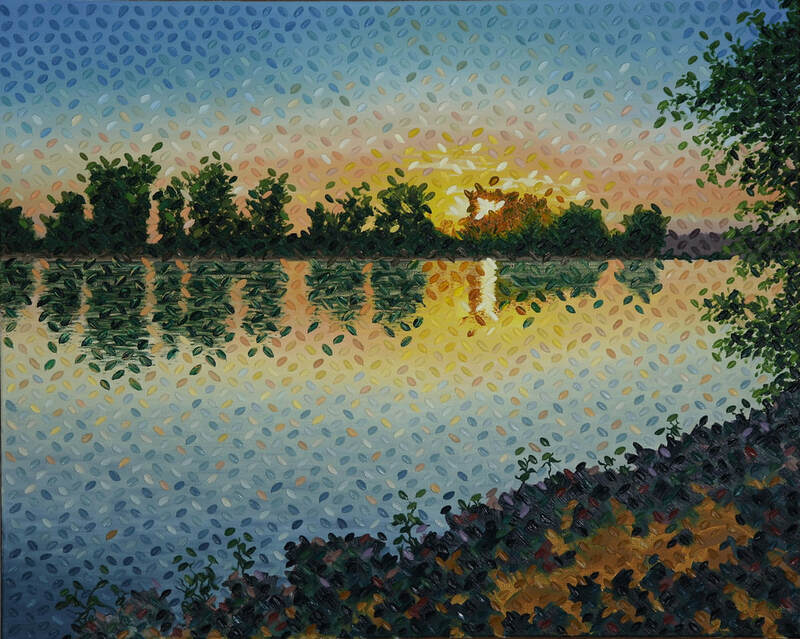 Sunset on the River 24 x 30 in.